1127. Arben Jashari & Diana Jashari. 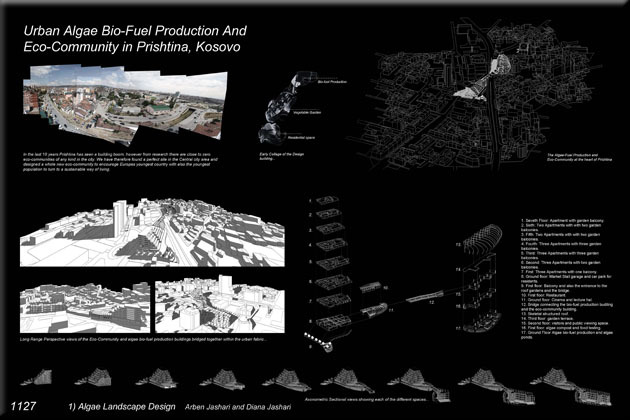 Urban Algae Bio-Fuel Production and Eco-Community in Kosovo. Designed for the central Prishtina, with seven floors for residential space, each with a green garden. 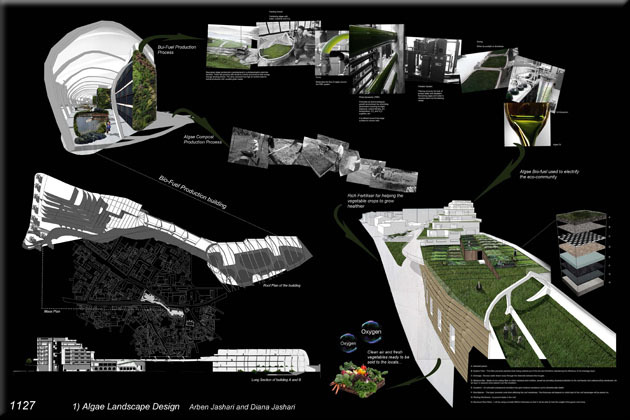 With a roof garden to grow produce, market, cinema and restaurant. The eco-community building is linked to the algae building with a glass roof to produce bio-fuel, food and compost. For more information about this entry, contact the author. email: benarchi1@hotmail.co.uk.